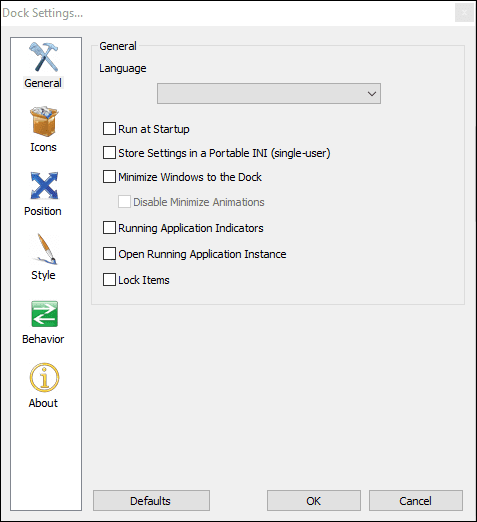 A third-party software, RocketDock is a gracefully animated program launcher for Windows 10. With the help of a dock on the top of the screen (usually), it provides help to drop data and application’s shortcuts for a quick reach. All the icons and the help on the monitor is totally customizable which means you have the liberty to can alter the location, size, appearance, and any other thing you think of. This proves to be very helpful when you wish to change the look of your PC. With a very simple and clean interface, understanding it is no big deal. RocketDock has a quality to settle itself on any part of the monitor and gives a resting place to the shortcuts of the apps and folders. As soon as you roll over the mouse cursor on the icons they come out in a larger size increasing the visibility.